If you have a garden on your property, then you might know that it’s a good idea to use fertilizer. After all, fertilizer can help you help your plants grow. When choosing a fertilizer, it’s a good idea to look for an organic fertilizer. Even though there are non-organic enricher products on the market that can provide results, an organic product is a better idea for these reasons. Believe it or not, you can get better results in your garden from using organic products rather than chemical fertilizers. Sometimes, chemical fertilizers are too harsh for plants and can actually cause them to die. Organic products can help you grow healthy plants, though. If you are growing vegetables, fruits or herbs in your garden, then you are probably looking forward to preparing them for your family and sharing them with your other loved ones. However, you could be concerned about the chemicals in the food that you and your family members eat. 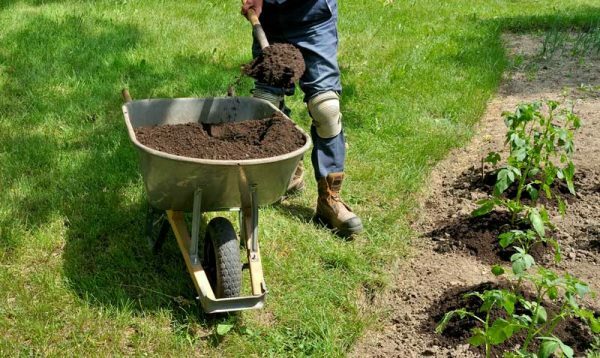 By choosing fertilizers that are organic, you can help make sure that you and your family members are not harmed by the harsh chemicals that can sometimes be used when food is grown. You might find that you prefer to grow and eat your own vegetables rather than buying them from the grocery store because of this fact. If you are into gardening, then you probably enjoy the natural beauty of the world around you. If the environment is important to you, then it’s definitely smart to think about how the chemicals that you use in your garden and elsewhere in your yard can impact it. Some fertilizers that have harsh chemicals in them can be harmful to native plants and can even contaminate the groundwater. Plus, when these products are being made, harmful manufacturing processes are often used. You can keep your love of the environment in mind when buying fertilizers for your garden. Simply purchase organic products. Since they are made out of natural ingredients rather than chemicals, then you should not have to worry about them harming the environment. It is a good idea to purchase fertilizer that is made out of natural ingredients so that you can help your garden grow. You might be able to make some of your own natural products for use in your garden as well, though. For example, you can create a compost pile; this will help you dispose of things in a way that is good for the environment and can also help you grow a nice, healthy garden. 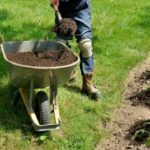 When choosing a fertilizer and other products — such as pesticides — to use in your garden, you will definitely want to at least think about using organic products. For the reasons listed above, many people find that organic products are the best choice for their gardens. Luckily, there are a lot of organic options for you to choose from.